A once-common feature at English Teas was a ramekin of seasoned shrimp or mushrooms - referred to as either potted shrimp or mushrooms. The main ingredient is cooked in butter, seasoned and then packed in butter (this is similar to the French confit). In addition to the rich flavor the butter brings, it also acts as a preservative so that potted shrimp can last as long as 4 weeks in the refrigerator. 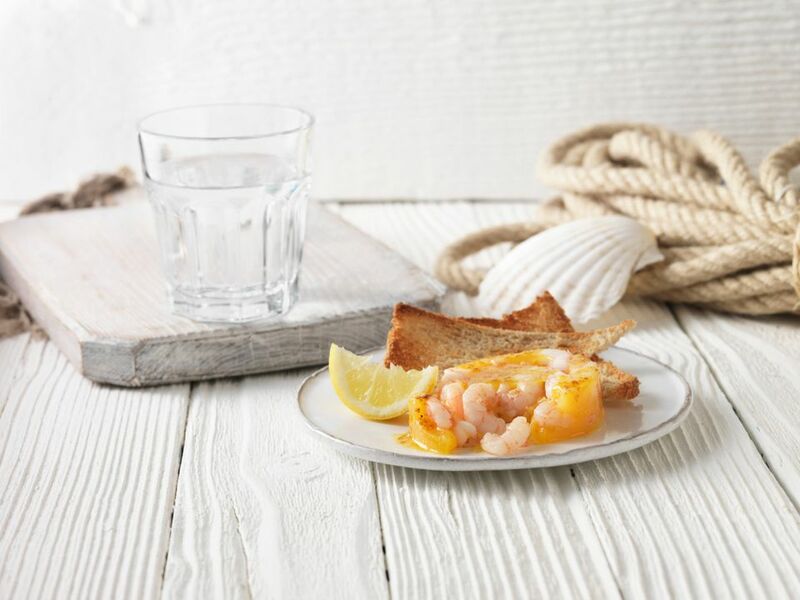 Potted shrimp makes a great canapé for a party, but also a great snack just waiting in the fridge. In a heavy skillet melt 1 tablespoon of butter over medium heat. Add shrimp, shallots, and sprinkle with spices. Stir to coat shrimp with butter and spices. Cook 1 minute then add sherry and cook until shrimp is just done and most of the sherry has evaporated - about another 2 1/2 - 3 minutes. Remove from heat and add Tabasco and lemon juice. Process mixture in a food processor until it is finely chopped but not a paste - the texture of coarse sea salt. Taste and adjust seasonings. Melt remaining butter in the skillet over medium-low heat. When foaming subsides, remove skillet from heat and stir in shrimp mixture. Pack into a ramekin and if the liquid doesn't come to the top of the shrimp, add a bit more melted butter. Refrigerate at least 4 hours to let flavors meld. Allow to warm in an oven heated at 250dg Fahrenheit for an hour before serving on crackers or slices of thin toast.